"Eat food. Not too much. Mostly plants." 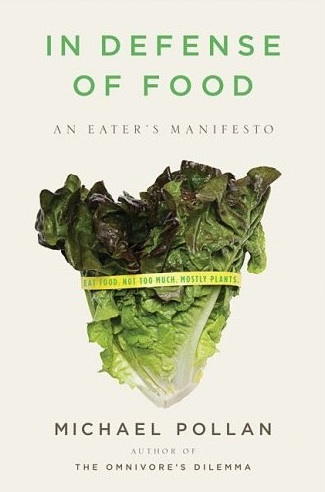 These simple words go to the heart of Michael Pollan's In Defense of Food, the well-considered answers he provides to the questions posed in his bestselling The Omnivore's Dilemma. Humans used to know how to eat well, Pollan argues. But the balanced dietary lessons that were once passed down through generations have been confused, complicated, and distorted by food-industry marketers, nutritional scientists, and journalists, all of whom have much to gain from our dietary confusion. As a result, today we face a complex culinary landscape dense with bad advice and foods that are not "real." These "edible foodlike substances" are often packaged with labels bearing health claims that are typically false or misleading. Indeed, real food is fast disappearing from the marketplace, to be replaced by "nutrients," and plain old eating by an obsession with nutrition that is, paradoxically, ruining our health, not to mention our meals. Michael Pollan's sensible and decidedly counterintuitive advice is: "Don't eat anything that your great-great grandmother would not recognize as food." Pollan suggests that if we would pay more for better, well-grown food, but buy less of it, we'll benefit ourselves, our communities, and the environment at large. Taking a clear-eyed look at what science does and does not know about the links between diet and health, he proposes a new way to think about the question of what to eat that is informed by ecology and tradition rather than by the prevailing nutrient-by-nutrient approach.